The borders on Dracula have joined up? 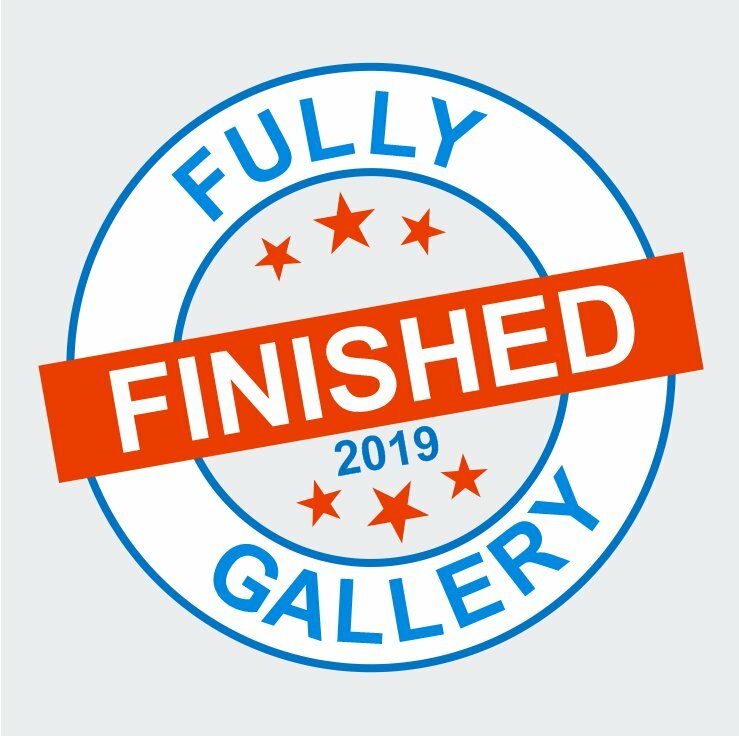 Does that mean a finish? The fabric was a gift from Tiffany and looks absolutely stunning with the solid black stitching. I plan to photocopy the finished piece and make that into a book cover as I did with Book of Spells. Then I will frame the original piece. Making nice progress going round and round with various shades of green! 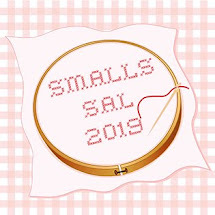 Finally, the Secret Stitching Sweetheart Blog Hop was a great success, I believe everyone now knows who their Secret Stitching Sweetheart is and hopefully has some new friends. Here are the collages of the designs sent in, some absolutely gorgeous stitching and a cute dragon too! Don't forget to leave a comment on the original post if you want to be included in the Five Hops Challenge this year. 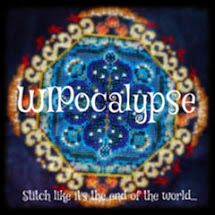 Dracula looks fabulous and I love the idea of using a picture of the finished stitchery on a book cover! Your Chatelaine is coming along nicely - this one's going to be great fun to watch! Congrats on the finish it is just a beautiful piece and that fabric really does make the black pop, the Chatelaine piece is stunning and nice batch of orts too. Dracula is a wonderful project! It looks just perfect with that linen. I would love to see how you use the photo copy as a book cover! Lovely ORTs Jo! Cute jar too. Borders always give me a good scare. Congrats on the wonderful finish! The fabric is perfect for the design. Does photocopy give the same color results? because usually the colors get more darkened in a photocopy. The Dracula design is ideal on that fabric. I like your idea of photocopying it to make a book cover. 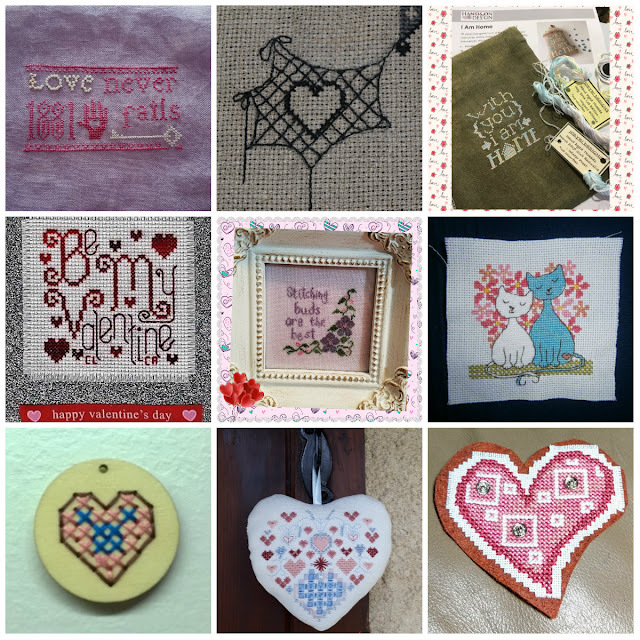 The collage of the Secret Stitching Sweetheart makes you realise how varied everyone's work is. Love your Dracula finish and that fabric is perfect. Wohoo Congrats on the finish! You are making beautiful progress on your Chatelaine too. The Valentine's piece look beautiful all together like that. Wow!! Love Dracula, it look so good. Congrats on your finish! Can't wait to see how the Chatelaine goes for you too. Congrats on the finish. I remember reading the book on my office computer and it gave me chills some time. I enjoyed my visits for the sweetheart blog hop but what is the elephant about? Quilt? Nice TUSAL jar! I love the fabric that u used for the dracula. Dracula looks fantastic,congratulations.The book beats all the movies in my opinion. Gardens of London is looking good too. Wow Jo, I love the Dracula finish, it's just fabulous! YAY for Drac, a gorgeous finish, the fabric is amazing. A stunning finish! Congratulations on another successful blog hop. Wohoo! Dracula finish means happy bat-flappy dance! The fabric really is perfect for it. Oh yes, Dracula looks fab with that fabric! I love all the hearts, another Valentine's Day filled with love. I love your TUSAL, Jo. 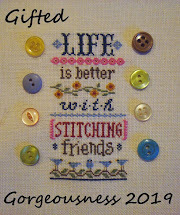 Great stitches on the blog hop. Congrats to all!!! Such a gorgeous finish! 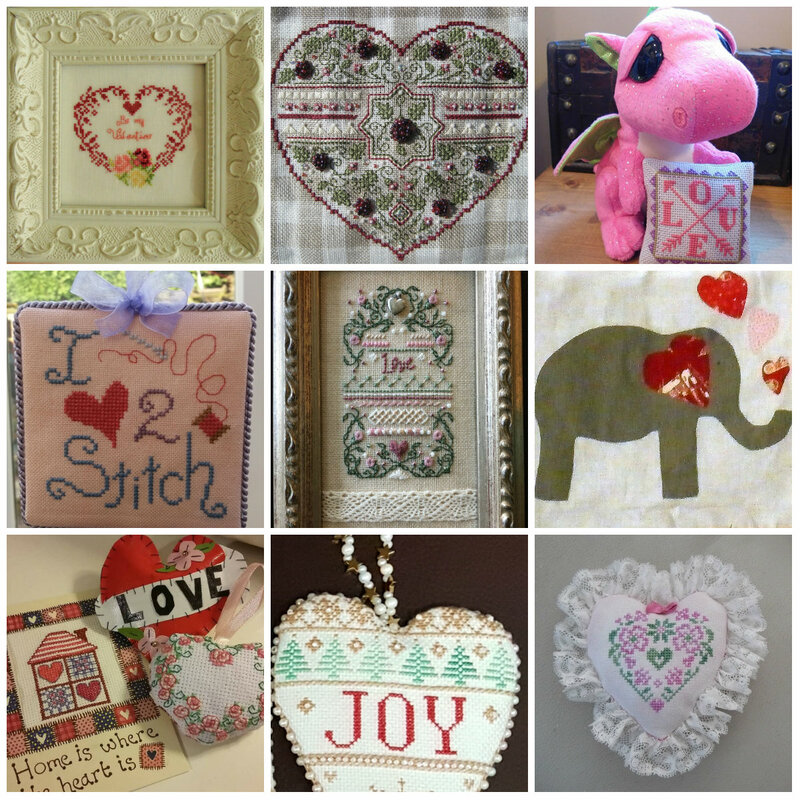 And I love the collage of all the hearts that were sent out during the Valentines blog hop. Oh man I love that fabric for the Dracula chart. That is more than wicked! Chatelaine is looking beautiful too.